Today is July 8, 2015. It’s been two years today that my little man JoeJo left me. And though many people have told me that time will heal, it hasn’t. I mourn the loss of my little man almost everyday and after two years it feels like yesterday that he was lying in my arms. I’ve read pet loss books that have tried to enforce the notion that he was a pet, but that just made me mad and hurt even more. As I write this I am crying, my heart aches, my body hurts and I sometimes still hear him cry out to me. Now don’t get me wrong… I love the littles that are still with me. But with JoeJo, everything was different. If you recall, Kyra passed away this past November, the day before Thanksgiving to be exact. It was a hard 10 days from the day she was diagnosed with cancer to the day we had to say goodbye. I can actually count on my hand the number of times I have cried. It isn’t because I loved her any less than JoeJo, because that isn’t the case. I had her from about 5 months old and we had such a great time together, she had a great life. In my heart I gave her the best I could, and she loved all her experiences. But JoeJo was different, he didn’t have that. I barely got 1 good year with him before the Canine Cognitive Dysfunction set in. Along with the last 2 months of us sleeping on the couch together because he didn’t want to sleep on the bed anymore. But he touched my soul, in a way that I can never describe. So after 2 years there are a few things that I have learned. It’s okay to mourn the loss of my pet on my own terms. If it takes me 10 years to be able to talk about him without crying then that is okay. Don’t let anyone tell you ‘you need to get over it’ or ‘he was just a dog’. NO! He was so much more and if you don’t care enough about my feelings for him, then you should probably start considering how your actions are affecting my feelings for you. JoeJo and I did have some good times. I always remember him running down the hall towards me, and how happy he was when I would come home. I love the fact that he just loved toys and loved to wear clothes. And yes, I still have all his clothes. Getting a dog never replaces the one you had, and you can never compare the two. Two different dogs with two different personalities. What you can do is rescue another dog and give them the best life you can give them. Always think about rescuing a senior dog, as they will just steal your heart. Today should have been a Check the 8 on 8 day… but it has been dedicated to my lil man. This post is short… but even now I still can not elaborate on my feelings too well. Have you lost a pet recently and have had a hard time adjusting to the loss? Let me know and share… it’s okay this is a safe place. 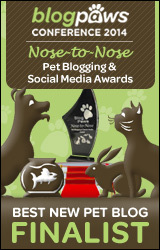 We are participating in Wordless Wednesday hosted by Blogpaws. My princess passed away july 6th. It was so devastating and it was sudden she was my baby had her since i was 15 now im almost 25 she was with me at that hard age she was always there for me. I love and miss her so much. I dont think the pain of her not being here with me physically is ever going away. I dont have anyone to really talk to because mostly everone i know thinks im crazy for hurting so much over a “pet” so its hard not having anyone that understands my pain. My dog, Hector, died in 2011. I still cry for him every day. Now, his “brother from another mother”, Hobie, is gone, too. I have two other dogs that I adopted after Hector died, and before Hobie died. They are wonderful, and a huge comfort. Some day, I will lose them, too. It’s awful. But I choose to do it again and again. Hector was the worst, though. He died very suddenly with no warning, and that is much more difficult to accept than Hobie who was very old and sick. There were so many things Hector and I didn’t get to do together. I tried to make it right with Hobie, by spending as much time as possible with him during his final two years, but it wasn’t the same. Yes. I know exactly how you feel, as sadly I am going through it now. After saying goodbye to my 14-year old cat Jasper this week, I can tell you that I will never, ever get over this loss. I’ve had many furkids over the years, but Jasper and I had a soul connection that words just can’t explain. Thank you so much for this post. It reminds me that it’s okay to grieve in my own way, and that sometimes just “moving on” might never happen. I will remember the good times, but the void he leaves behind may never be filled. And I’ll be okay with that, because I accept that those who bring us the greatest joy cause the greatest pain when we have to say goodbye. Thank you again for sharing this. I really needed to read it today. What a sweet post. It’s been 11 years since we lost my childhood dog, Lhasa Apso Ashe-Li and I still grieve, she was probably my Lifetime dog, we grew up together. When my sisters and I would sneak in after curfew, often impaired, with bags of fast food, she’d threaten to bark and wake our parents if we didn’t share! She got me through every break up. She loved Thanksgiving so much she’d spend the day in the kitchen waiting for dinner, basking in the holiday smells. When I was diagnosed with 2 kinds of muscular dystrophy then other conditions caused by the MD, she was there. When I got too sick and had to move home, she was there. Whenever I had another of the, over a dozen, surgeries, she was always by my side. When she got old, and blind, almost deaf, we were by her side, and she loved us until the end. One of my favorite memories is that she was allowed to walk herself, she grew up in our dog-friendly neighborhood and knew not to pass the sidewalk (the treelawn then street were no no’s), and we’d put her out and she’d mosey around. One day, a few minutes after I put her out I couldn’t see her…started looking…she’d ventured to our next door neighbors backyard because he was grilling and that 17-lb. dog LOVED to eat!! Blind as a bat, her nose took her right to the grill! My sisters and I like to think our pets that have passed on are up in a school of sorts, passing on info to our new pets. Whenever Bay-Li, Car-Li, and now Hay-Li do anything remotely Ashe-Li-like, I like to think she’s taught them well, and smile. I’m not ashamed to say I love these sweet girls more than most humans, they are my everything. A very nice tribute, sleep tight JoeJo. Roxanne Hawn of Champion of My Heart recently published a book called Heart Dog that is about this exact thing. My “Once in a Lifetime Dog,” Isis, died on Feb 2, 2011. It’s the anniversary you don’t want to remember, and yet it hangs over you every year. I’m sorry for your loss and understand how you feel. Our dogs just aren’t with us long enough. Losing a loved one is so hard and we all grieve differently. When my dog died 8 years ago, I couldn’t stand the emptiness, even though I have 5 kids. It has become easier (for me) with time, but it is still a great loss. I’ve kept her collar (just a cheap one) all these years. Six years after she died, I I though I could donate her collar to a rescue because she doesn’t need it any more and I don’t think I do either. I’m holding on to it until I’m sure. She’ll always be in my heart. I’m sorry you are still hurting so badly but I totally understand. We got my childhood dog Ginny when I was about 8 and 17 years later she passed away. I literally grew up with her. No pet could ever replace the special bond we had. I cried and was devastated for so many years. She was such a big part of my life, not just because of the length of time we were together but because of the bond and friendship we shared. I hope the day will come soon when your pain gives way to precious memories. I love this photo of you and JoeJo, it’s so beautiful. 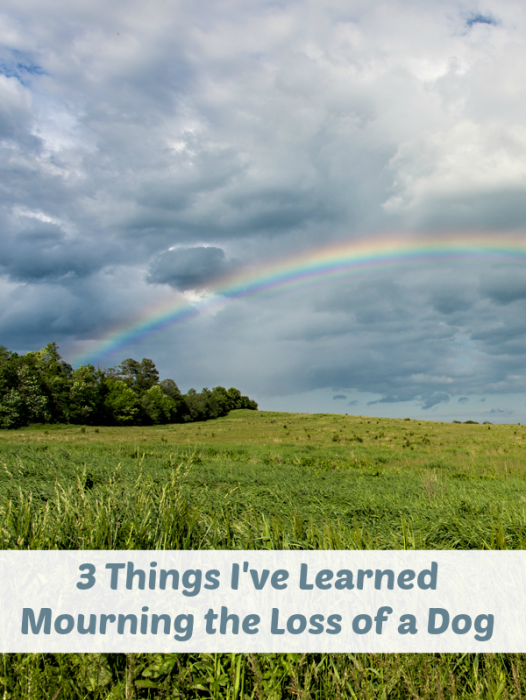 I didn’t want to read your blog – I am so sorry for your loss – I can relate 100%. I agree with every single word 100%. I Lost my Son – Tuffie 3 months ago and cannot go one day without this heart breaking pain and at any given time the tears fall without being asked no matter where I’m at. He was not just a dog – he was my Son – we had a bond like none of my other dogs. I don’t need to tell you all that – you know. And No – no one understands. And I can only say – they never will – and don’t try. What matters is what you think and what your heart says – and that’s for you to treasure forever. what matters is ” At the End of the Day ” you’ve done your best and it’s O’Kay to say I Miss You Every Single Moment of the Day and the Tears fall without being asked. Thinking about you today. I know that anniversaries are especially hard, but so is living day to day life without your friend. I wish you peace and love during this difficult time. Get it, perfectly get it, and you are allowed to grieve however you want, for as long as you want, and nobody gets to decide when you’re ready to move on except for you. Time heals nothing. With time the pain lessens, but it never goes away. I lost my beautiful little Maddie very suddenly, while on vacation in the Outer Banks. She was my true soulmate, connected to me on a level that I would not have believed was possible before she came into my life. She was only 3, and I thought we had all the time in the world. She has been gone almost 5 years, and I still can’t tell the story without weeping — she took a piece of me with her when she left that I have never gotten back. I have three Shih Tzus now that I love to distraction, but Maddie is the heartbreak that will never heal. I am okay with that, because I would do it all over again, even knowing the outcome, because that magical little dog made my heart sing every single day of her too-short life. You mourn your JoeJo however you please, and good on you. Thank you for the beautiful advice from someone who has been there and understands. A cat I never met on a blog just passed suddenly and I am mourning her like she was my own, because she reminded me so much of a cat I had. 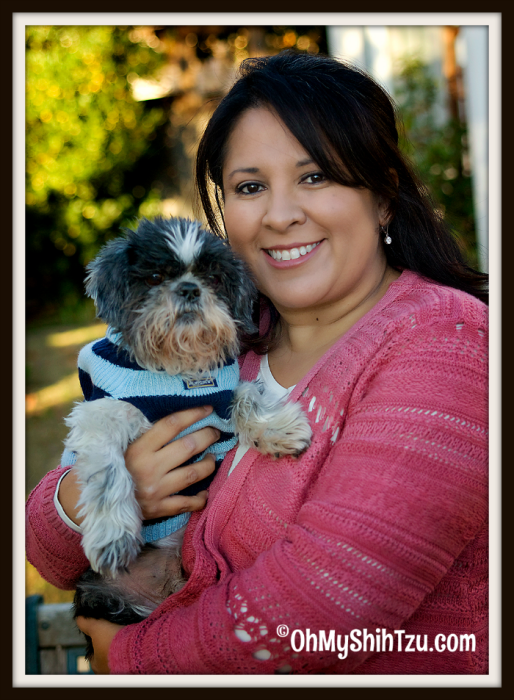 As pet bloggers the biggest plus we have is documenting our daily lives with the pets we love. I started thinking last night, crying for a cat I never knew, how much I wish I could have had a blog to document my life living with three cats. All the emergencies, fights, every last one saved forever, and I only have hard copy pictures to remember them by now. JoeJo was a lucky dog to have your love and no one should ever feel bad about mourning a pet, no matter how long. Sorry I got on my bandwagon. Having just passed the one year mark of that horrific day when Leo died, I can so relate. Often I look at Jax in bewilderment because he comes from the same breeder and looks so much like Leo, I find myself searching for a similar trait. I know it’s not right, but I’m being honest. I ache for the big guy. I do understand. JoeJo was such a sweet little dog. We never forget the dogs that formed a huge part of our past. Earl Lover recently posted…Anyone Up For Some Badminton? Beautiful post. JoeJo sounded like an amazing little man. As you said remembering them will keep them alive in your heart forever. Elaine recently posted…Who Does Your Dog Look Like? Great post that all dog lovers can relate to because we have all been there. It will be 2 years in October since we lost Blue and I miss him every day still. I love what Hawk said because it is true. It is perfectly fine to feel the way you do about JoeJo and don’t let anyone convince you otherwise. He stole a big piece of your heart but he will give it back to you someday when you join him at the Bridge. JoeJo was super cute and you can see the love you had for each other in that photo. Lub is a totally selfless act – and animals connect with your soul. Thank you for sharing this with us – it’s beautiful, touching and so very vulnerable. Blessings to you and yours! Trine was Mom’s very special dog. She passed almost 11 years ago, I never even met her, but she still is always on Mom’s mind. She talks to us about her a lot, photos sit around the house. It is good to know Mom will never forget us and we each have a special place in her heart. Your little one sounds so very precious. Hold those feelings tightly. It will be two years in October since I lost my heart dog Pip. Like you, I mourn and miss him everyday. I’ve just come to accept that this is how it is going to be and that’s OK. Some around me think I should be over it by now and others are more understanding. I also agree with you about adopting senior or special needs dogs. We adopted Ruby at age 7 a few months after Pip passed away. I am always drawn to the special dogs and cats. Everyone of us steals a chunk of your heart. Some of us steal off with a bigger chunk. When you have no more heart left you will join us on the other side of the Rainbow Bridge where we will be waiting. Hawk aka BrownDog recently posted…Nightmare! It’s been a little over a month since I lost my Suki. It was so unexpected and I’ve really been struggling with it. I love all of my dogs but she was different. Losing her has been the hardest loss of my life. I feel like she should still be here with me. Thank you for sharing about JoeJo. I loved the video.